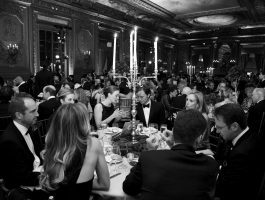 When your company supports the Hispanic Society of America, it demonstrates commitment to an iconic New York City cultural institution, and dedication to the arts, literature, and cultures of the Hispanic world. 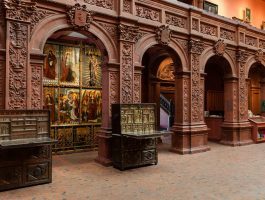 Corporate contributions and partnerships are critical to the Hispanic Society’s ability to present its world-class collections, and provide free, high quality education and public programs. 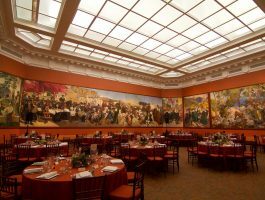 The Corporate Membership program provides a unique opportunity for a mutually beneficial collaboration between our corporate members and the Hispanic Society. In return for this generous support, our Corporate Members receive numerous benefits and rewards as well as enhanced public and customer relations through their prominent visibility as generous supporters of arts and culture in New York City. In addition to Corporate Membership, the Museum offers opportunities to sponsor exhibitions, arts and education programs. The Hispanic Society looks forward to tailoring a benefit package that meets your company’s philanthropic and marketing goals. There are many levels of membership to suit the varied needs of our corporate patrons. We can design a membership experience created in consultation to meet your company’s specific business goals. Corporate Membership contributions are tax deductible to the extent allowed by the IRS. 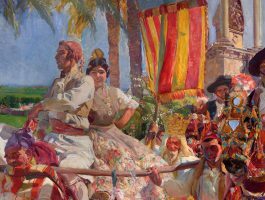 *Use of the Museum’s Main Court or Sorolla Gallery is subject to availability. All rental fees, catering, decor and other event-related expenses are additional.